Andrew Pozzi’s chance to win a second major hurdles title in just over five weeks remains on track after he qualified quickest for the 110m hurdles final at the Gold Coast Commonwealth Games on Monday morning. Clocking 13.29, the world indoor 60m hurdles champion won the first heat at the Carrara Stadium ahead of South Africa’s Antonio Alkana with a time of 13.32. 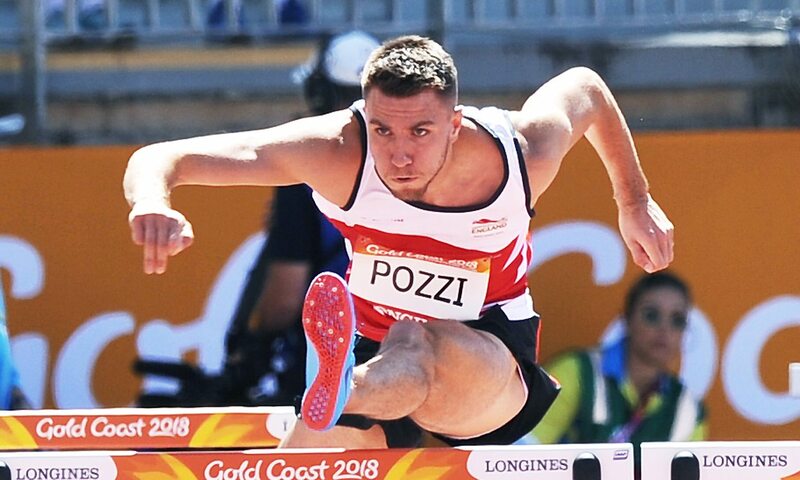 “It was a decent run and a decent time,” said Pozzi, whose only other 110m hurdles race so far this year saw him clock 13.99 (-1.8) at the Queensland International Track Classic at the end of last month. “I wasn’t sure what I would do over the 110m hurdles as it is so early but I’m in great shape from the indoors and showed that today. “I really enjoyed competing out there, it was perfect conditions for hurdling,” he added. “If it is like that tomorrow we should see some quick times. The 25-year-old added the world indoor title to his 2017 European indoor gold on March 4, clocking 7.46 for victory in Birmingham. He will now line up for the Commonwealth final on Tuesday (19:45 local time/10:45 UK) where he will be joined by Alkana and Jamaicans Hansle Parchment and Ronald Levy, who ran 13.30 and 13.35 respectively in their heat, plus Milan Trajkovic of Cyprus, Australia’s Nicholas Hough, Jamaica’s De’Jour Russell and Shane Brathwaite of Barbados. Clocking 13.70 for fourth in his heat, Northern Ireland’s Ben Reynolds just missed out on a place in the final, while England’s David King (13.74) and Wales’ David Omoregie (14.20) also did not progress. All three British athletes qualified for the women’s 400m semi-finals, with Scotland’s Zoey Clark clocking 52.07 for second in her heat behind Stephenie Ann McPherson’s 50.80, which was the quickest in the first round. England athletics team co-captain Anyika Onuora’s time of 53.13 for fifth in that heat was enough to see her through, while Emily Diamond ran 52.26 for third to automatically qualify from a heat won by Amantle Montsho in 51.20. “Preparations have been going well,” said Onuora. 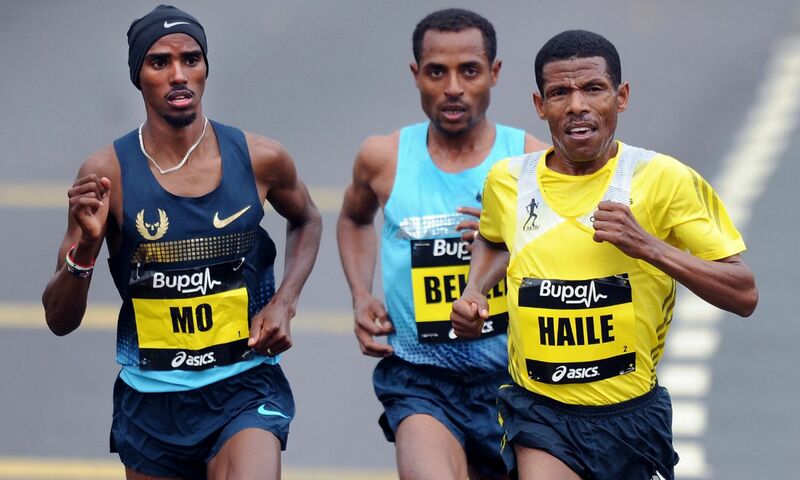 “I’ve managed to get a couple of warm-up meets in where I have been progressing well. I’m happy that I’ve done enough today to get through to the semi-finals. I am disappointed that I wasn’t in the top four. England’s Robbie Grabarz and Chris Baker will be joined by Scottish athletes Allan Smith and David Smith in the high jump final after they each cleared 2.21m in qualifying, but England’s Tom Gale misses out after three failures at that height. Games records were broken in both men’s T54 1500m heats as Australia’s Jake Lappin first clocked 3:11.72 to win heat one before England’s Richard Chiassaro improved the record mark to 3:05.76 in winning heat two. They will be joined in the final by Australia’s Kurt Fearnley, Northern Ireland’s Jack Agnew and English athletes Nathan Maguire and Dillion Labrooy. Canada’s Damian Warner got the defence of his decathlon title off to a strong start, clocking 10.29 in the 100m to gain an early lead and equal his mark from Glasgow four years ago which was the quickest 100m in a Commonwealth Games decathlon. England’s John Lane ran 10.89 to sit fifth after the first event, while Wales’ Curtis Mathews was 11th after his 11.39 run and Ben Gregory 12th after his 11.60. Australia’s Cedric Dubler leapt furthest in the decathlon long jump with 7.59m, much to the delight of the home crowd. Warner jumped 7.54m to maintain his lead after two events with 1970 points from Dubler with 1888. Lane jumped 7.26m and had 1761 points for fifth overall at that stage, while Mathews was 10th on 1564 points after his 6.89m leap and Gregory 12th on 1531 points after a jump of 6.94m. A big PB throw of 15.79m saw Grenada’s Lindon Victor top in the decathlon shot put to move into second place overall after three events behind Warner, who also threw over 15 metres for the first time with his PB of 15.11m. Lane was eighth after three events on 2424 points, while Gregory moved up to 10th with 2186 and Mathews was 12th with 1564.